Gamma Knife. No Incision. No Hospital Stay. Documented Outcomes. and see them get better with such a minimally invasive approach." 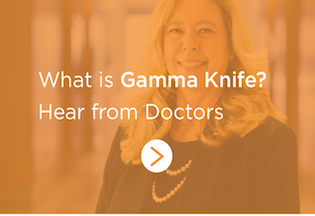 What Makes Gamma Knife Different? no instrument can be too refined. In typically a single outpatient session, patients receive a treatment plan and treatment. Treatment is completed in a few hours, with little to no side effects. From its introduction as the first dedicated radiosurgery system to the countless refinements in planning and efficiency, Gamma Knife has set a standard of care that other radiosurgery systems seek to emulate. Gamma Knife is not a one-size-fits-all technology. It is solely focused on the brain, and only the brain. In fact, Gamma Knife is the only non-invasive radiosurgery system specifically engineered to treat delicate brain tissue. Multiple beams deliver the exact prescribed dose to the target areas while sparing surrounding healthy tissue. 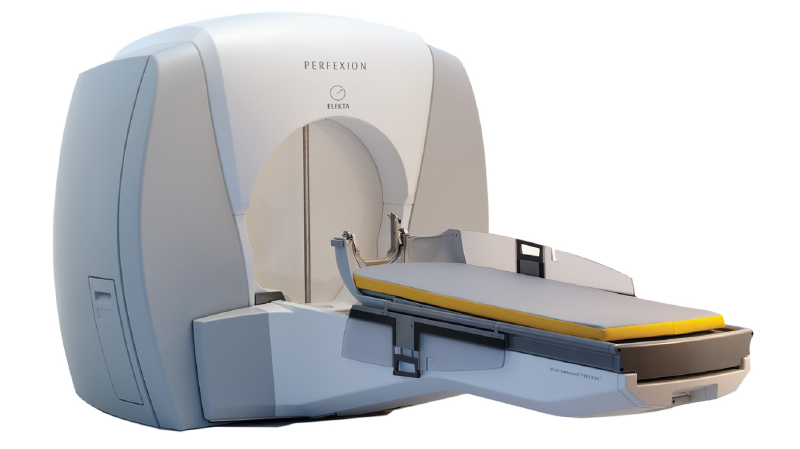 Leksell Gamma Knife ® is clinically proven to non-invasively treat indications in the brain ranging from very small target sizes of a few millimeters to several centimeters. Contact your health professional to find out if Gamma Knife is the right choice for you. 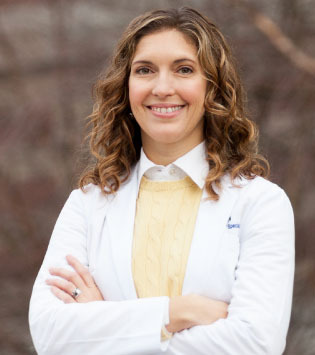 Experts say Gamma Knife radiosurgery is often equal or superior to traditional brain surgery in effectiveness, is virtually painless and has fewer complications. 5 AMAZING BRAIN SURGERY INNOVATIONS in Health Hub from Cleveland Clinic. Health Hub from Cleveland Clinic presents medical, health and wellness news, information and insights from Cleveland Clinic’s experts. Laser interstitial thermal therapy transmits heat to coagulate, or “cook,” brain tumors from the inside out. 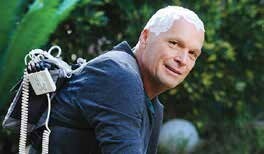 A medical innovation called NeuroBlate offers precise positioning of the laser to target, heat and destroy brain tumors. It integrates it with intra-operative magnetic resonance imaging (MRI) technology, producing detailed images of internal organs without using radiation. During a traditional surgery, surgeons will remove all that they can and patients are later treated with chemotherapy and radiation to kill the remaining cancer. For aggressive brain tumors, called glioblastomas, doctors are working on a way to get more of the tumor during surgery, making them glow a pinkish-red color when exposed to blue light. The technique is still experimental, but it allows surgeons to more clearly see the margins of a tumor. This can make a big difference in the cancer fight by offering a better prognosis for patients. It’s interesting that very low-intensity, intermediate-frequency alternating electric fields can slow growth of some recurring tumors. Called tumor treating fields (TTFields), they can inhibit the growth of tumor cells. These tumor-treating fields are particularly useful in treating glioblastoma, an incurable malignancy with overall survival of 15-18 months. 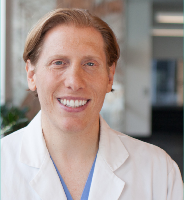 When it comes to skull base tumors, a team effort is instrumental to success. It can require the highly specialized techniques of specialists in interventional neuroradiology, otolaryngology (ear, nose, throat), neurosurgery, ophthalmology, plastic surgery, and neuroanesthesiology. The main goal of skull-base surgery is to allow surgeons access to difficult-to-reach lesions by moving (anatomic displacement) or removing parts of the base of the skull. These techniques reduce or eliminate the need for pushing back or moving brain tissue, which helps protect injury to the brain, cranial nerves, and blood vessels. *NeuroBlate is a trademark of Monteris Medical IncCleveland Clinic, Brain & Spine Team “Five Amazing Brain Surgery Innovations” Brain & Spine Health / Cancer Health, October 6, 2014.